The Wyld Stallyns are back, and this time theyre travelling across the whole universe! Bill and Ted have been kidnapped by a bodacious alien and are handed over to...their long-lost family?! 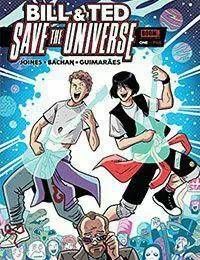 Brian Joines and Bachan (Bill &amp; Ted Go to Hell) team up once more for an all-new Bill &amp; Ted adventure.